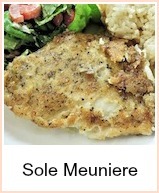 This is one of my favorite dover sole recipes. Plainly grilled and topped with parsley butter. 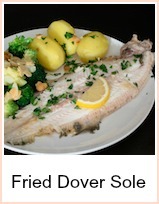 Dover is the very best sole. It's found from the Mediterranean up to Scotland, but it was named Dover as this was where it was landed mostly. This recipe is simple and classic. Cook it on the bone but prepare it well. I remember going to restaurants when the waiter would fillet the Dover Sole at the table - always very impressive. Sometimes, they would even pan fry at the side of the table as well. I used to love that! First make the parsley butter. Mix together the butter, lemon juice and parsley. Then roll it into a sausage shape, wrap in clingfilm or greaseproof and pop it into the fridge. Turn the dover sole black skin side up and make a slit in the tail end - grab the skin and pull off in one movement if you can. If you find it hard to grip, then dip your fingers in salt to help. 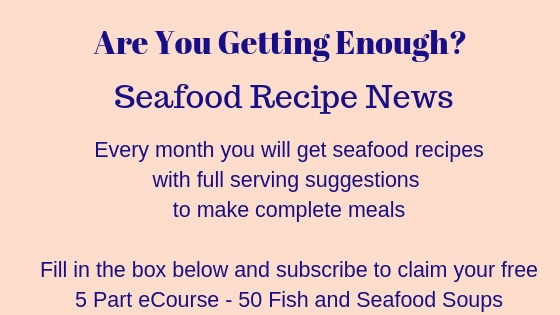 Turn the fish over and with a sharp knife, scrape away the scales. Cut the side fins away using scissors. Wash and pat the fish dry. Season the flour and put it onto a plate. Dip the skinned side into the flour and shake of the excess. Put it under a hot grill and brush with melted butter - floured side up. Grill for about 5 to 6 minutes, turn and cook for a further 5 minutes or so until the fish skin is crispy. It should be cooked after this time - the fish are quite thin and this amount of time should be sufficient. Remove the parsley butter from the fridge and cut into discs - should be two for each sole. Serve hot with half a lemon to squeeze over. I would serve this with some boiled new potatoes and plain buttered vegetables. 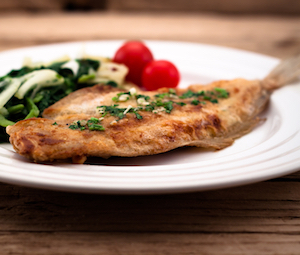 It is the most simple of dover sole recipes, but it's really all you need for this superb fish. 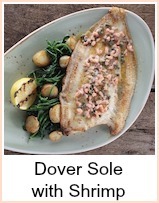 Dover Sole does not need elaborate recipes, simple is best. This method of grilling works very well and there's a recipe for Parsley Butter which is just right to enhance the flavour without overwhelming it.